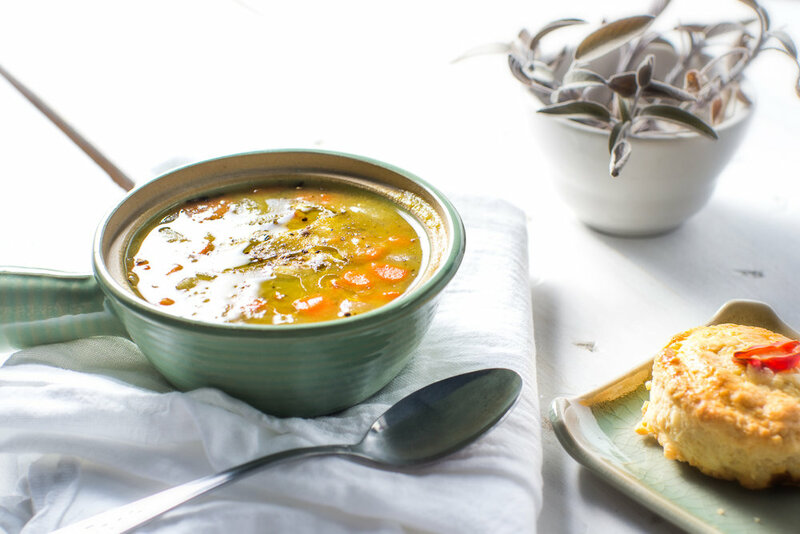 Split Pea Soup — Make It Veg! This is what I consider one of the most comforting soups and one that is easily at the top of my list for most used recipes. I just love the heartiness and flavor of Split Peas and on a cool Winter day, well pair this up with a good novel and comfy blanket, and you can call life GOOD. The addition of Liquid smoke gives it a nice rich flavor. Saute Onions and Garlic in olive oil in a large stock pot. Add Oregano, Salt and Pepper. Once Translucent add potatoes, carrots, 1/2 of the peas, and stock. Bring to a boil then simmer 40-60 minutes until peas are tender. Add the rest of the peas and cook another 40 minutes, or until peas are soft. Add Liquid smoke at the very end. Season with Salt and pepper. Service with warm bread. Pea and Egg Soup. A strange little soup that will become a favorite. This Squash Soup goes great with bread on a cold day and freezes very well. Spicy and filling it can be a great starter or as an entree. The use of mixed seasonal squash makes this easy to change up depending on what's fresh and available.